As I mentioned a few days ago, I am on my way to 30! 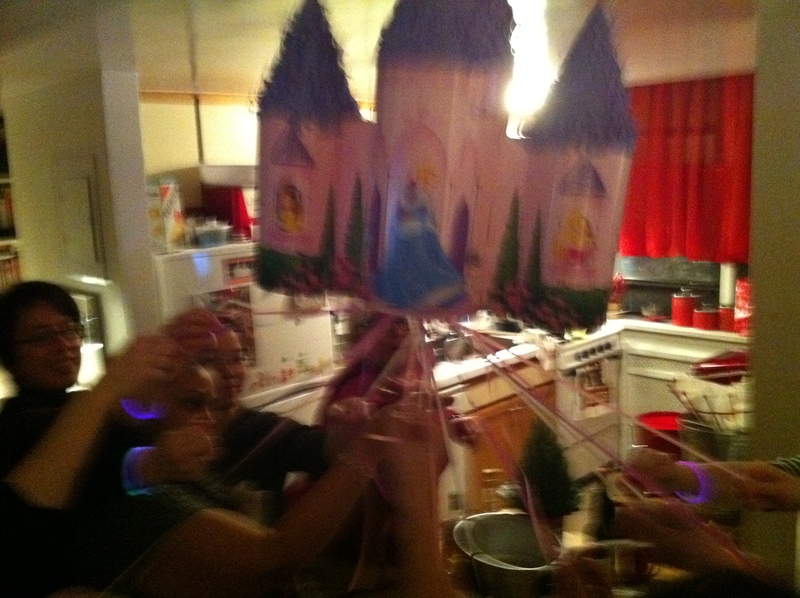 Saturday I had a big, princessy, girl’s night in complete with a Disney Princess pinata and mini-tiaras for everyone. My mom made her amazing Spinach Casserole, Potato Salad and Roast Pork Sandwiches not to mention a bunch of appetizers and dips too! My sister decorated, planned fun trivia games and entertained my friends while a reel of Christmas movies and old commercials my dad made played in the background. 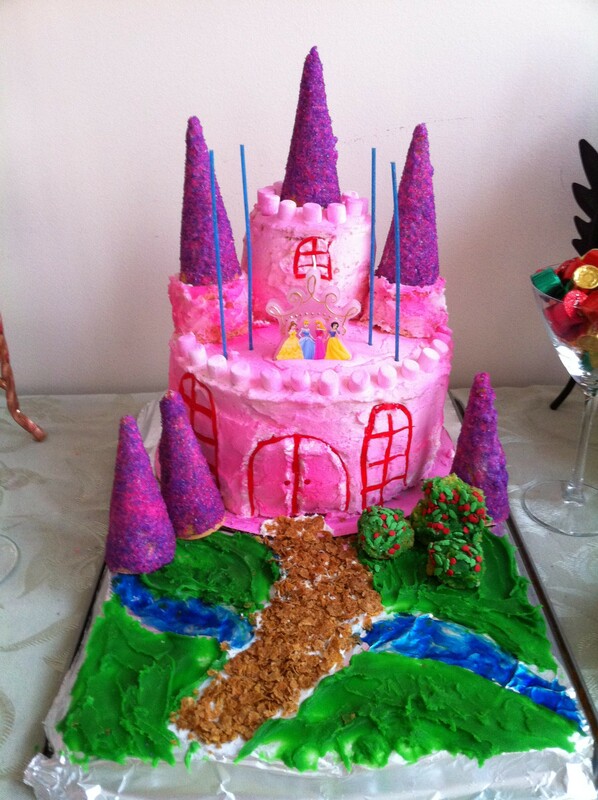 And in the Italian tradition, I had a sweet table complete with cookie bar and Pink Castle Cake. 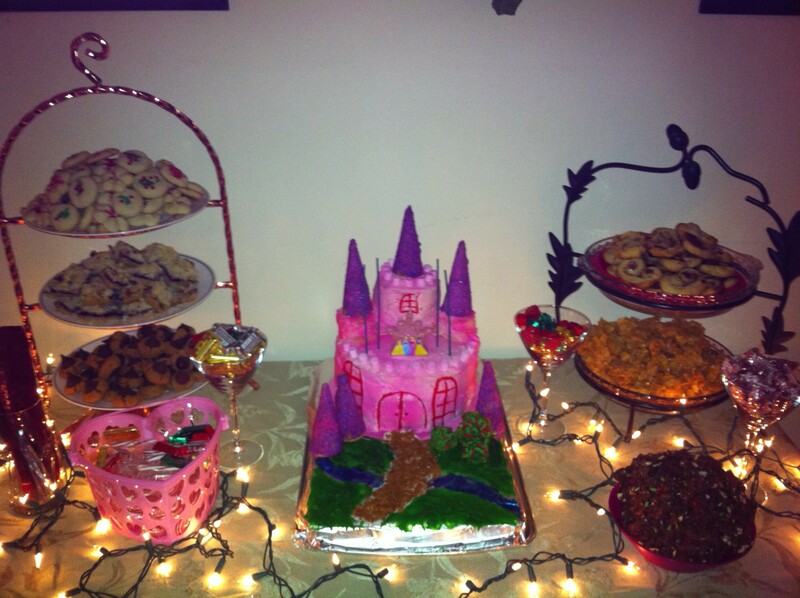 The cookie bar is something I came up with last year. I was at Tiffany’s for a Fashion’s Night Out Party and they had a huge candy bar set out that guests could make and take goodie bags. Since I am a baker and I LOVE baking Christmas cookies and no childhood birthday was complete without a loot bag- a cookie bar seemed like a cool idea. It was definitely a big hit!